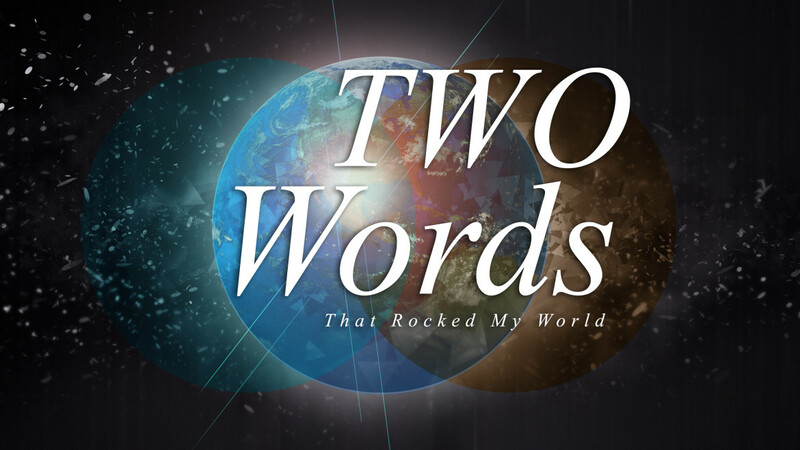 Official Site of the Tattooed Preacher > Christianity > Two Words That Rocked My World! Have you ever had an encounter that really teaches you something? I did a few days ago. I was actually honored that he asked and I said, “the book is called Quantum Christianity: Believe Again. It’s about…” in mid-sentence he sticks his hand out, to shake my hand, looks past me and says “Nice to see you Aaron…” and walked away. Being the nice guy that I am, I thought that maybe he became distracted by something important so I gave him the benefit of the doubt and watched where he went… but he went nowhere… He literally stood 15 feet from where we were just talking and looked around for someone else to talk with for about a minute. Then saw someone, and went and talked to them. Fast forward a few hours, I’m talking with someone who would be considered “well known” in my circles and he, not even knowing me asks, “How are things…?”. Honestly, expecting this was a cordial but cliché question, and to give him a quick out, I answered shortly, “Things are going really well…thanks for asking”. His response floored me. We proceeded to talk for the next 15 minutes. He never broke eye contact and even opened up to me about some personal things in his own life. There was a valuable lesson in those two words “Tell me” that I will never forget. I asked myself, “How often have you asked someone a question for formalities sake (like it seemed the first guy did you) and were content with the cliché answer? How many times have you looked the person in the eyes who just answered your question with a cliché and pushed further with a question like, “Tell Me…” ? My answer to myself was, “Not often enough”. ****The views expressed on my blog are my own and do not necessarily reflect the views of my employer. How many times the last year have I had that experience, or not even been given the benefit of the greeting..know it stinks.. Sorry.